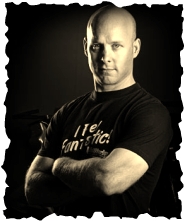 Neil is a graduate of McMaster University with a Bachelor of Kinesiology – Hamilton, On (1997) In 2003, he founded Life Works Gym, with the mission to build a fitness facility around quality personal training. He works with a variety of clientele, from Olympic athletes to seniors to the injured. Neil is really good at keeping you out of a wheel chair. At age 5, Jessie Fox competed in the National Gymnastics Team in China. She was also a part of China's aerobics, martial arts and track and field teams. Now a personal trainer with a range of athletic experience , she wants to see clients build stronger, healthier bodies, have more self-esteem and greater confidence. As a personal trainer, spin instructor, group fitness coach Jessie brings a real passion for health and fitness to all her pursuits. Jessie will work with you to design a balanced plan with all your health components and she will be with you every step of the way to motivate and guide you. Jessie likes the program to extend a client's limits with a balance, weight work, cardiovascular, core, flexibility and nutritional support. She will help you achieve your goals safely and effectively and ensure that you maintain proper form and posture for maximum results. Chris' interest in fitness began in high school, after quickly recognizing his passion for his newly discovered lifestyle. Chris understood quickly the benefits that motivation and a little bit of self discipline can bring. After setting himself a goal of gaining some muscle, he ended up adding 50 lbs of lean mass to his 6 foot 2 frame naturally. Once he learned how inspiring and fulfilling training and fitness can be, he replaced his current interest in computer programming for a new career in fitness and nutrition. ​Kate is a certified personal trainer by Canfitpro and is an infantry reservist in the Canadian Forces. Kate has been with the military for the past four and a half years and brings with her a different perspective on training and personal fitness. Kate loves being outdoors and spends most of her spare time hiking and kayaking. In 2014, she completed the Everest Base Camp trek in Nepal and hopes to participate in other challenging journeys in the future. In the gym, she enjoys weightlifting and functional training. Kate loves working with people. She believes that self discipline and drive can help people to the goals that they had never thought possible. She wants to guide people through the world of fitness and inspire them to live the way they want to live. She is eager to help those new to fitness, those who would like a refresher on form and technique, those looking to lose weight and gain strength and those looking to have fun! She currently lives with her spouse Codey and puppy Nala in Kananaskis. Jess - a forever yogi and meditation student and now teacher has been inspired for the past 7 years with the mind, body and soul. Since 2010, Jess feel in love with the practice of self-healing on the mat and exploring the path of yoga. Recently, Jess earned her 200 hr Yoga Alliance Teacher Certification with Yoga Medicine. Jess was taught by some of the most recognized teachers around the world like: Tiffany Cruikshank, Mackenzie Miller and Rachel Land. The journey of chasing a dream happened this year in Thailand. With no fear, Jess went alone to learn the anatomy, alignment and the structure of the body. Yoga has taught Jess to be grounded and to remain focus to be still in a busy life. Jess’ classes will help find a sense of calmness in our upbeat bodies. The yogi is still a newbie in the Rockies, she was born and raised in the busy city of Toronto. Always having a love of nature, Jess is an outdoorsy soul and always open minded to new adventures that will come her way. She is a forever student who loves to learn something new each and every day. Tanya has had an interest in health and nutrition for as long as she can remember and consequently have been the go-to person among family and friends for nutritional advice over the years. Continued challenges with weight, food sensitivities, digestive issues, low thyroid and hormone imbalances coupled with frustration with our �sick-care� system for herself and her family finally prompted her to explore formal training in the area of natural nutrition. We all have the inherent potential for optimum wellness, but stress, distractions, lack of accurate natural nutrition information and dying traditional food preparation arts have derailed the efforts of many to have a healthy body. As a Holistic Nutritional Consultant, Tanya's goal is to assist others in their path to optimum wellness, not only the physical body, but the emotional and spiritual body as well. 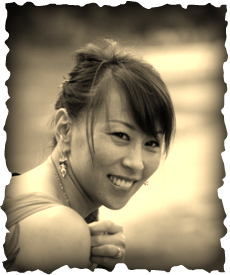 Tanya is a graduate of the Canadian School of Natural Nutrition (CSNN). She has successfully provided sound and effective holistic nutritional counselling for clients of all ages and backgrounds. She provides confidential, accurate, and professional consultation services.